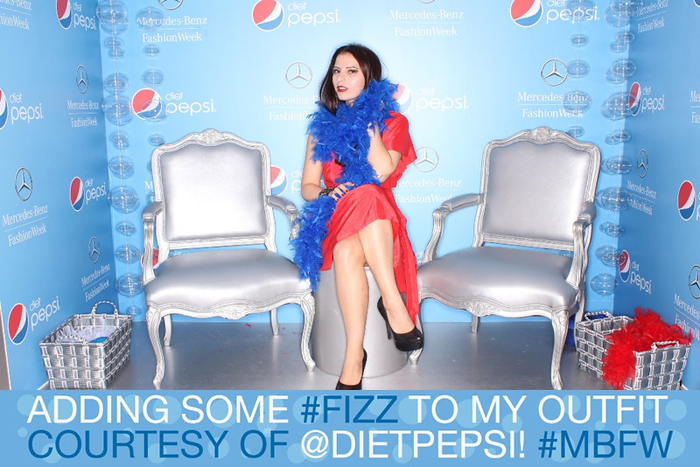 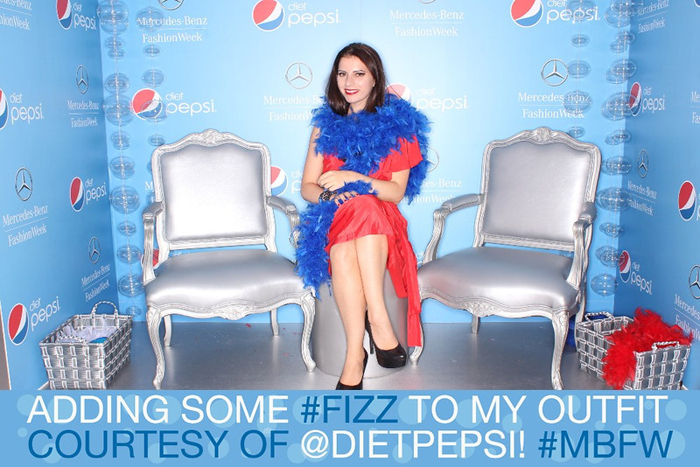 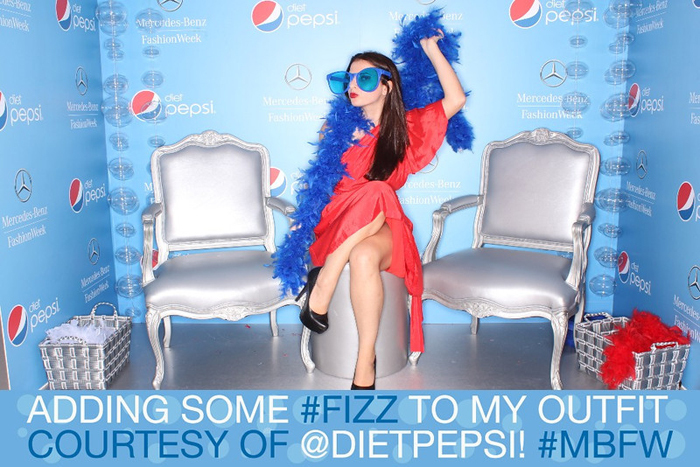 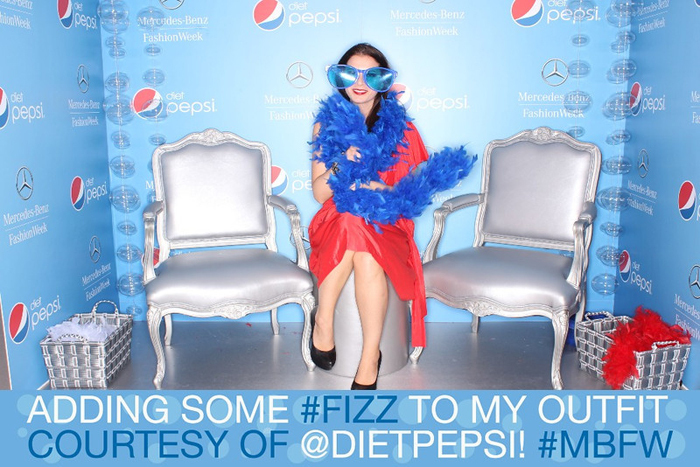 One my favorite things to do at Mercedes-Benz Fashion Week this season was take photos at the Diet Pepsi photo station! 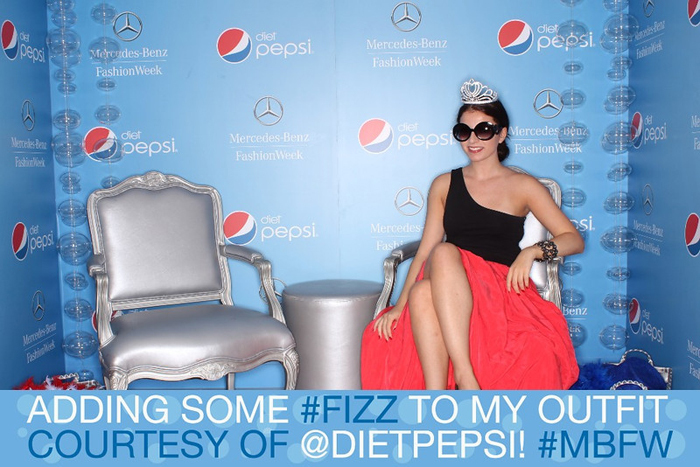 The photo station was located in the outside portion of Mercedes-Benz Fashion Week. 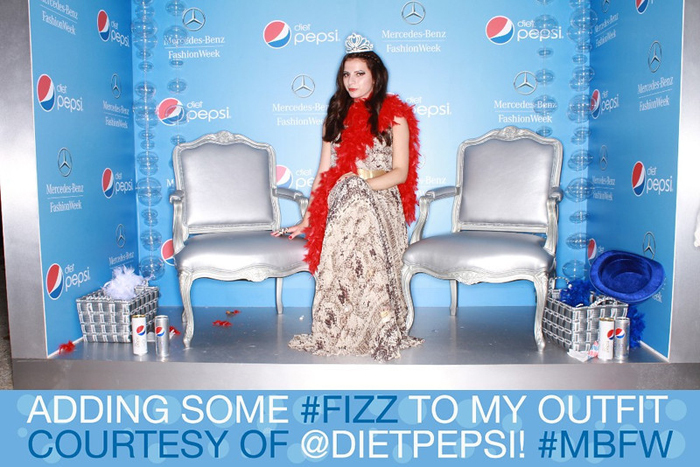 You had a chance to customize your look with fun accessories like a crown, colorful boas and more. 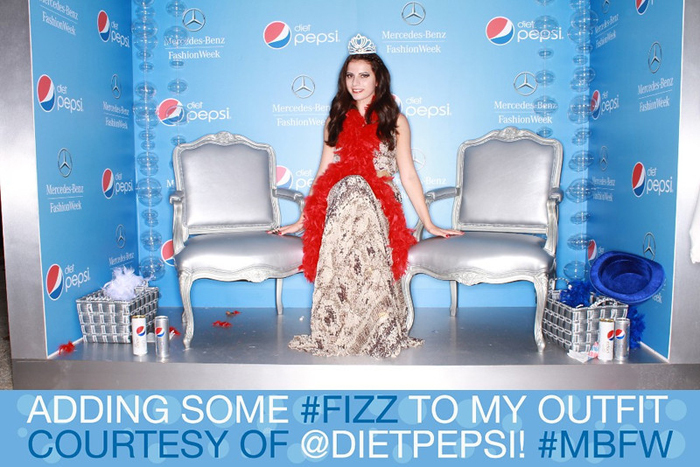 One of my favorites was the above photo where I was wearing a crown. 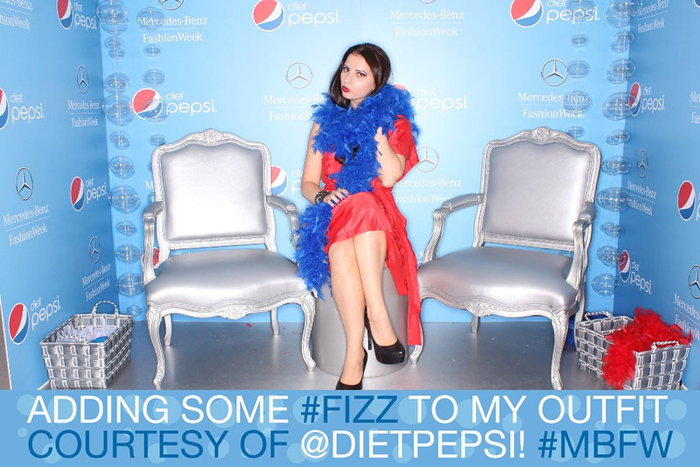 I kind of felt like the unofficial Diet Pepsi Princess!